Austin, Texas sporting events offers UT football, Round Rock Express Baseball and many others. Come check out sporting events in Austin, Texas for a great time. Weekend is upon us again in Austin, Texas and that means I am always up for a new adventure or place to try . . . that brings me to Max’s Wine Dive. Fair Warning: I think they may have only added the word “dive” because it almost rhymed with “wine” because it is by no means a “dive” in any sense of the word. This one goes out to all you night owls out there… as rumor has it the “reverse happy hour” is one that you cannot miss. The last two hours of business, on weekends that means 12:00-2:00am it’s the infamous happy hour that has late night eaters watering at the mouth. Even their twitter name, @after_midnight suggests that they are the place for late night eats. Apparently the hummus and flatbread is enough to get anyone coming back for more. They have a whole menu of what I will call comfort food with a twist. From mac & cheese to fried chicken.. they really manage to cover a lot of bases. Do not take my word for it, Bon Appétit Magazine named them one of the “Hot 10” Wine Bars in the U.S. – in the U.S. that is big stuff. Sunday Brunches can either make or brake a place … well they serve Sunday Brunch until 3:00 p.m. another plus in my book. Sunday Brunch is one of the best ways to end a great weekend. 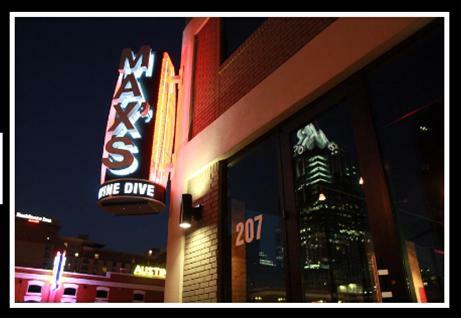 The reviews are mixed, again as it is by no means a “dive” but the reverse happy hour is hard to pass up and it’s a great location, great atmosphere, great service, all and all worth a try. A great place to either start or end your night. How about team USA, what a good game. In honor of the Olympics I thought I would do something for all of you who want to test out your skills on ice, Chaparral Ice. We all like free and they offer FREE “try me” classes. You can take a free 30 minute introductory class for skating or a FREE Hockey class. For more information on the free classes visit their website here. 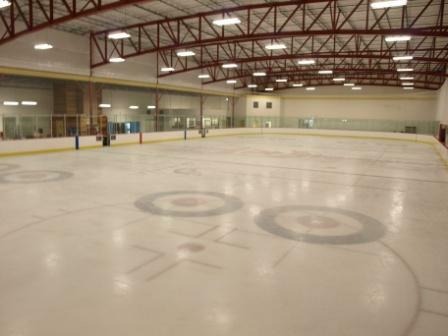 Public Skate sessions are $6.00 with a $4.00 skate rental fee. Visit their website for the public skate schedule and more information. Looking for a central location to go hit some golf balls that’s affordable! Try Hancock Golf Course for a laid back afternoon on the links. 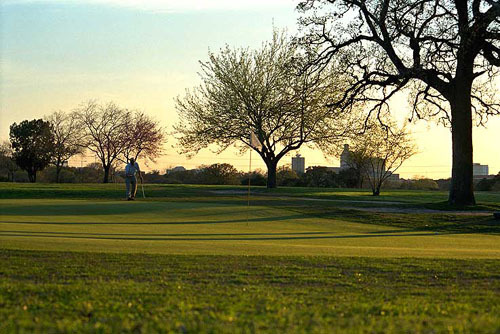 It was established in 1899, and is one of the oldest golf in the state of Texas! It is a par 35, 9 hole course with all the normal golf course changes – sand traps, water holes, a little bit of it all. The course is very causal and can be played in pretty quickly. Call for reservations however Tee Times are not required. Remember – CASH ONLY! In light of Super Bowl Sunday I thought I should today should be a place that you can catch the game if do not already have plans. Third Base is a great Sports Bar and a fun place to watch games. They have great food, (I would avoid the queso) the siders rock, pool tables, darts, free wifi, outdoor patio, and shuffleboard. The downtown location has Tuesday Trivia nights, which I think are a blast. If you can not make it Tuesday, they have great happy hour specials each day of the week. They have three locations around Austin – downtown, Round Rock and South Austin. What I love about the downtown location is that parking is never an issue, that is always a plus for me. Now that football season is officially over we can now move on to Texas Basketball. Tomorrowis the Lone Star Showdown, Texas basketball who is currently ranked #1 will take on Texas A&M at the Frank Erwin Center here in Austin. You can still get tickets for the game for as little as $15.00, check availablity here. Tip off is at 5:00 pm, for those of you that will not be able to make it out to the Erwin Center you can watch the game on ESPN. Time to get out your burnt orange and school spirit and get your horns up! If you are not going to the game a great place around town to watch sports is Abel’s on the Lake or Third Base. Hook ’em Horns, nothing beats a good Texas, Texas A&M match up.